Three NewDEAL Leaders Are NYT "Young Dems to Watch"
On Sunday, New York Times columnist Frank Bruni profiled 14 young Democrats to watch, selecting promising and buzzed-about leaders under the age of 45. Congratulations to NewDEAL Leaders House Minority Leader Stacey Abrams (Georgia), Mayor Pete Buttigieg (South Bend, IN), and Mayor Andrew Gillum (Tallahassee, FL) on your inclusion in this impressive list! And check out the dozens of other NewDEAL Leaders we think you should also be watching at www.newdealleaders.org/leaders! The Aspen Institute’s Future of Work Initiative, co-chaired by NewDEAL Honorary Co-Chair Sen. Mark Warner, published a new paper this week detailing how developing a portable benefits system is an important step in addressing the changing nature of work. Learn more about how portable benefits would reshape the shared safety net to encompass the rising class of alternative and independent workers. 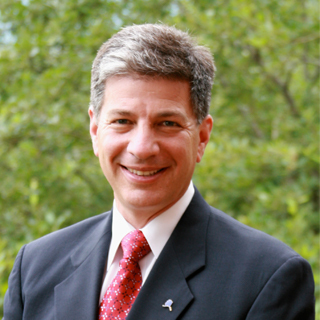 NewDEAL Leader Anchorage Mayor Ethan Berkowitz announced the launch of #ANCWorks!, a new online, mobile-friendly platform to allow citizens to engage with government and report issues for the city to address. The city is also pursuing increasing citizen access to municipal data, such as food inspection reports. Check out what the mayor had to say about his efforts to use 21st century technology to make city government more transparent and effective.